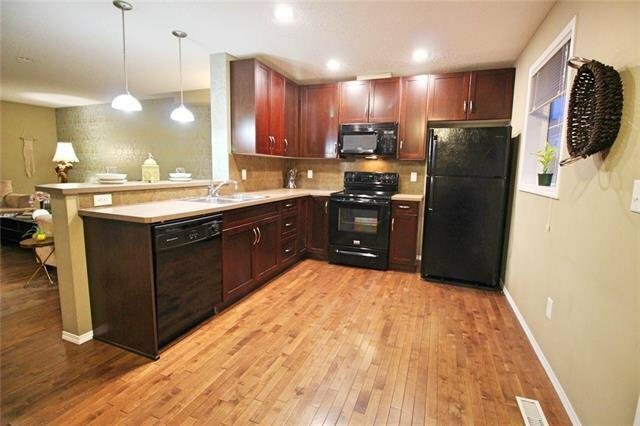 ***PRICE REDUCED $5K!! 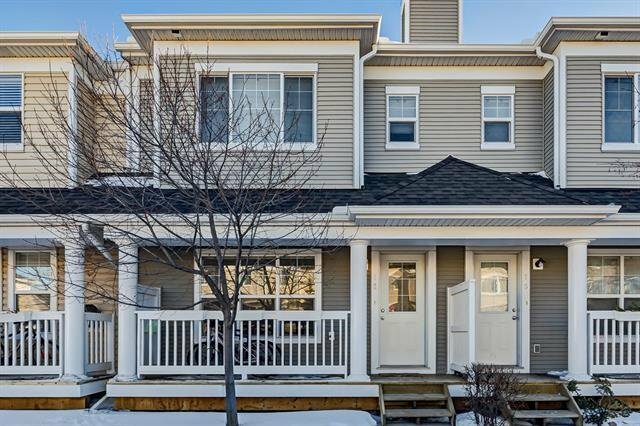 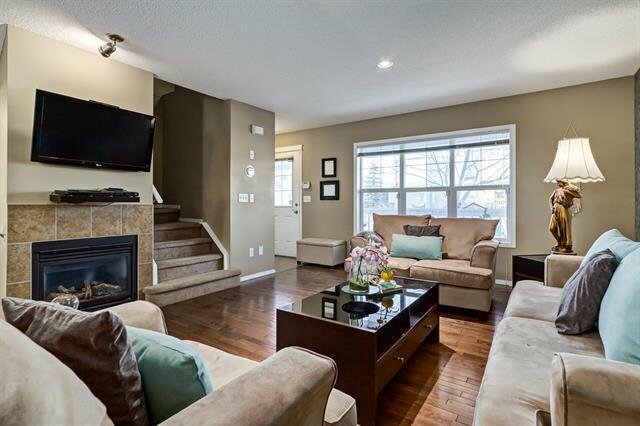 *** MODERN Townhouse w/ DOUBLE PARKING, DOUBLE MASTER BDMS, & FINISHED BSMT, kept like a SHOWHOME! 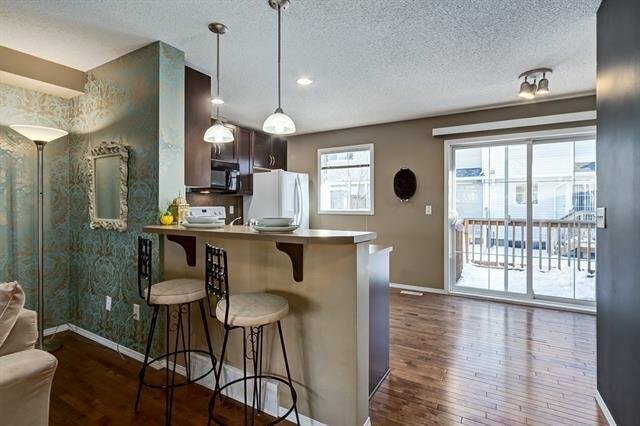 Bright & open floorplan, a place to wow your guests! 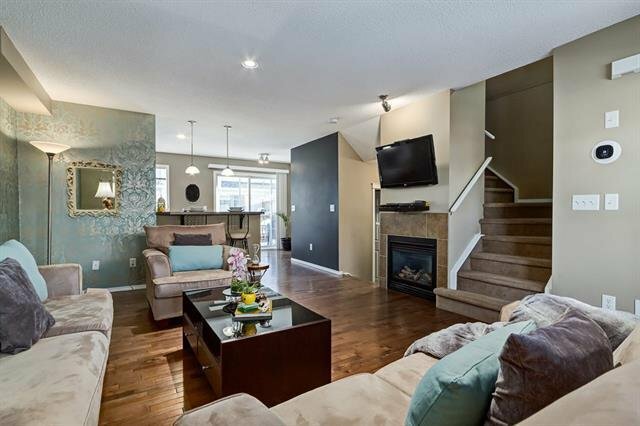 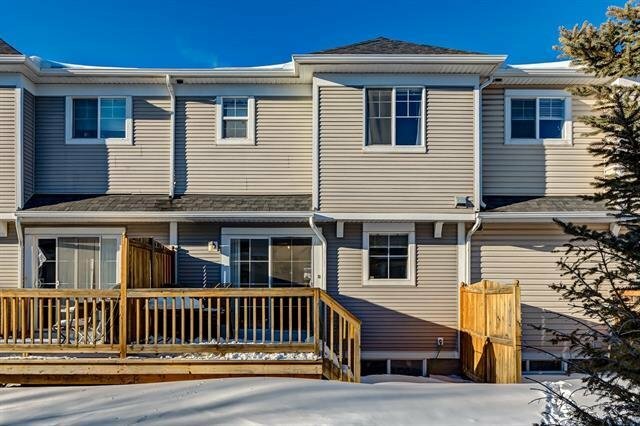 Main: gleaming hardwood floors throughout large living rm, w/ gas fireplace; beautiful kitchen w/ Mocha Espresso Maple cabinets, raised breakfast bar, large pantry, & it's open to living rm for interactive gatherings! 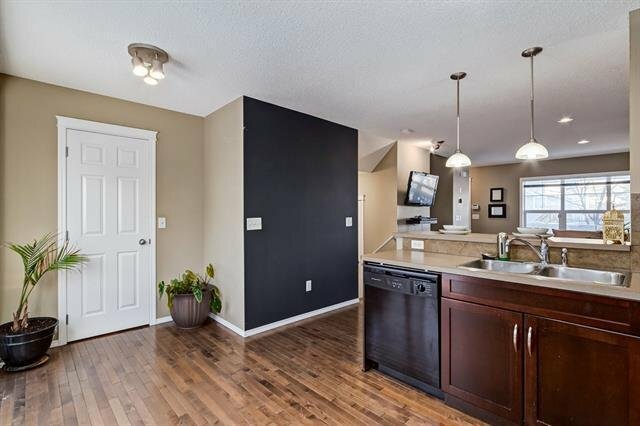 Patio doors from nook to a nice south-facing deck for BBQs; half bath completes main floor. 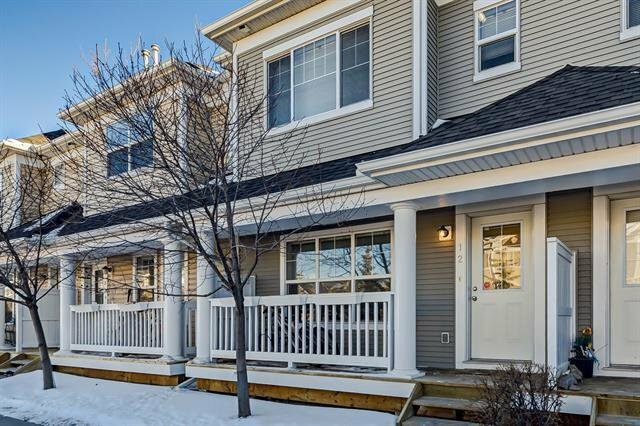 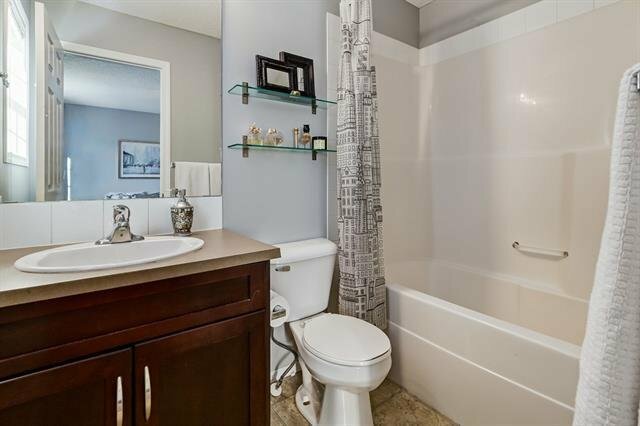 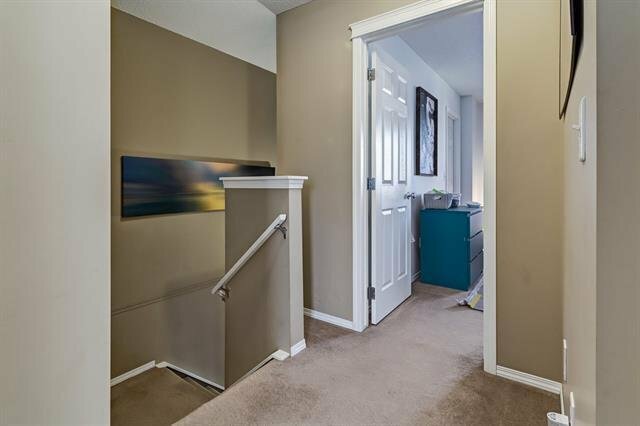 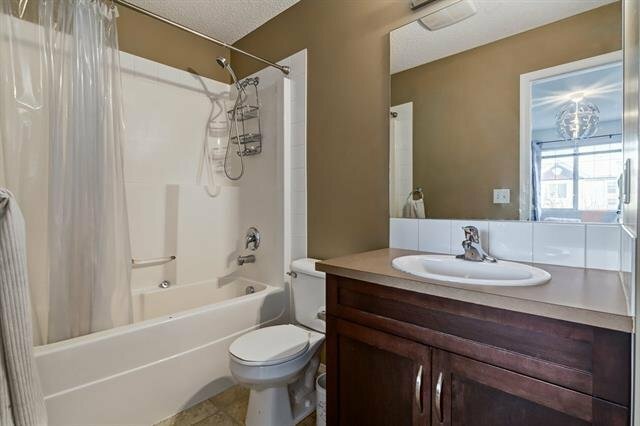 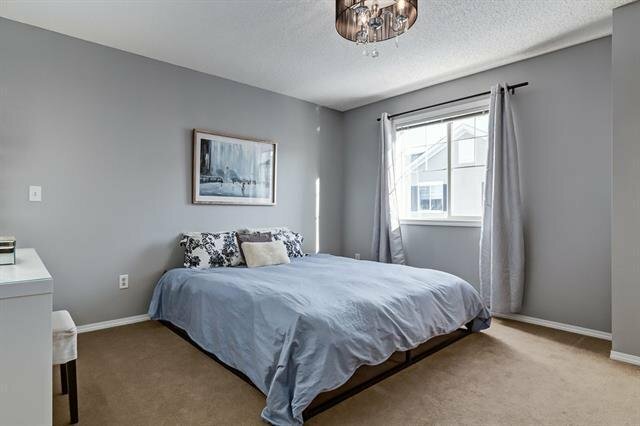 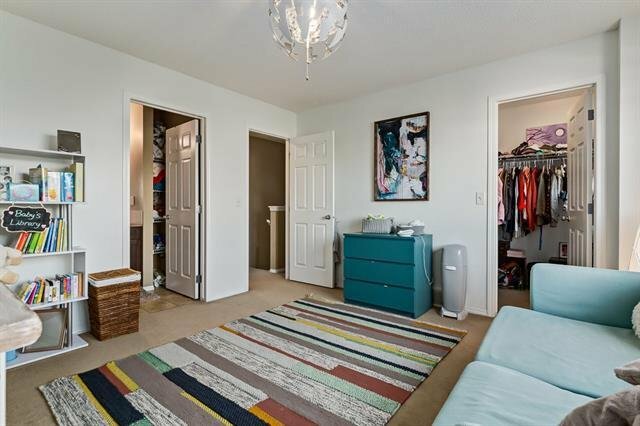 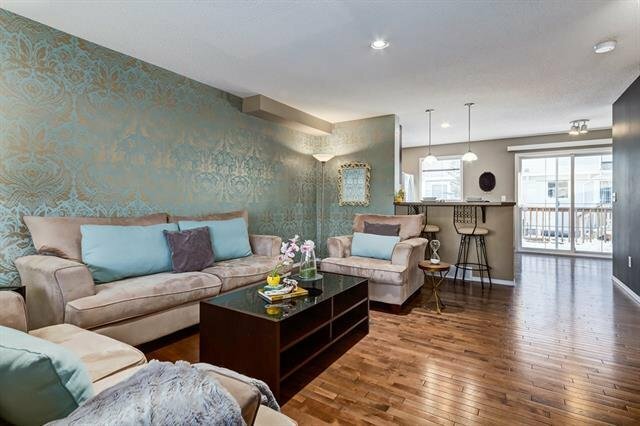 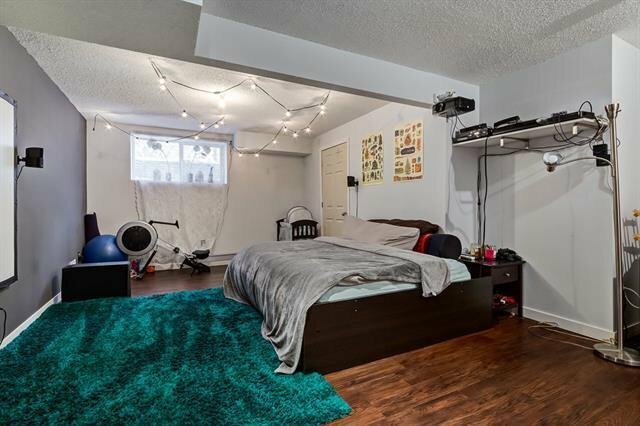 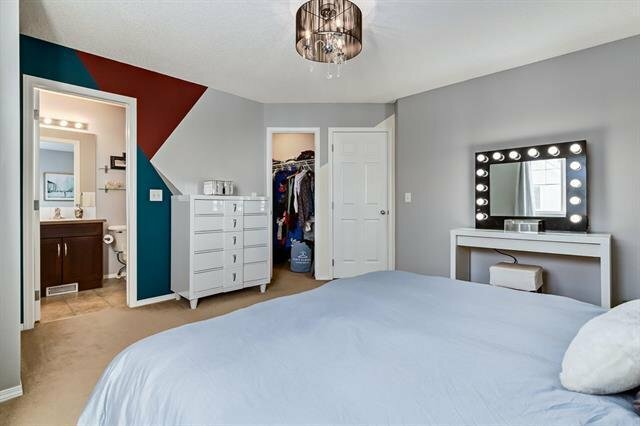 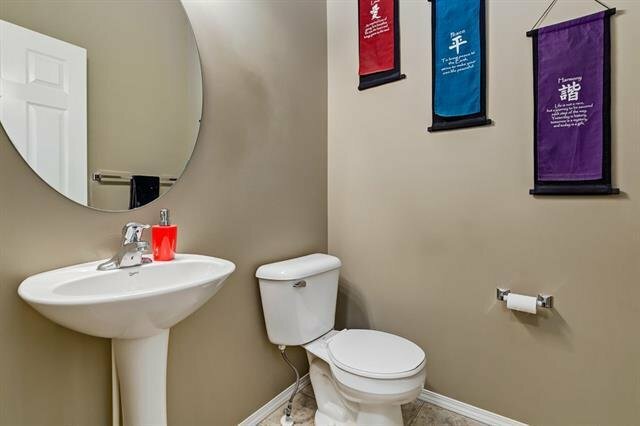 Unique & attractive setup upstairs: TWO LARGE MASTER BDMS, each w/ their own walk-in closets & full ensuite baths! 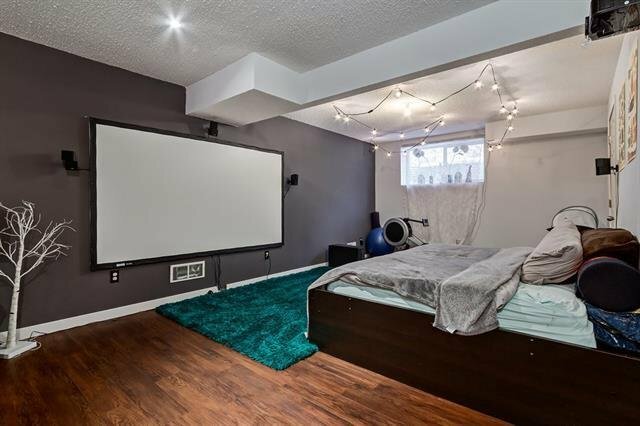 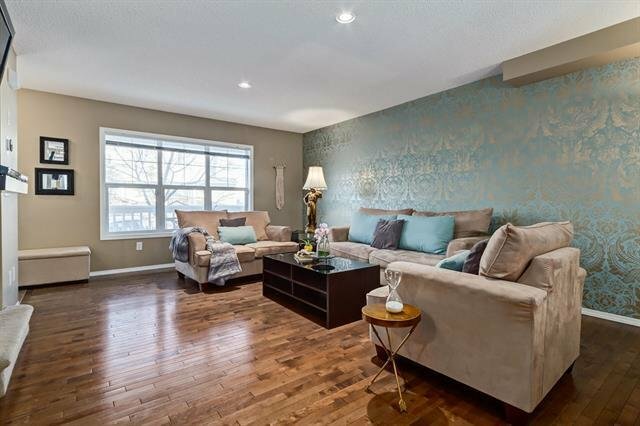 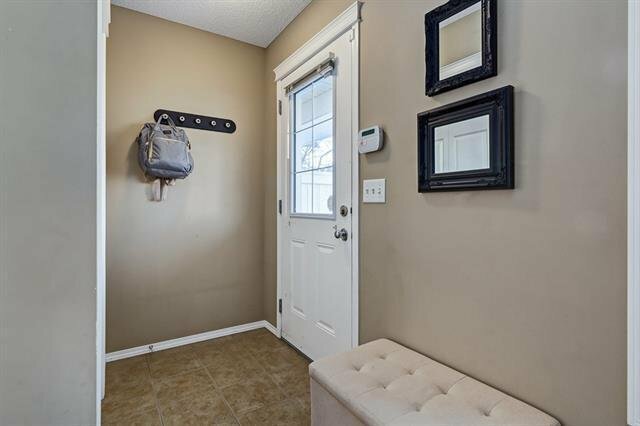 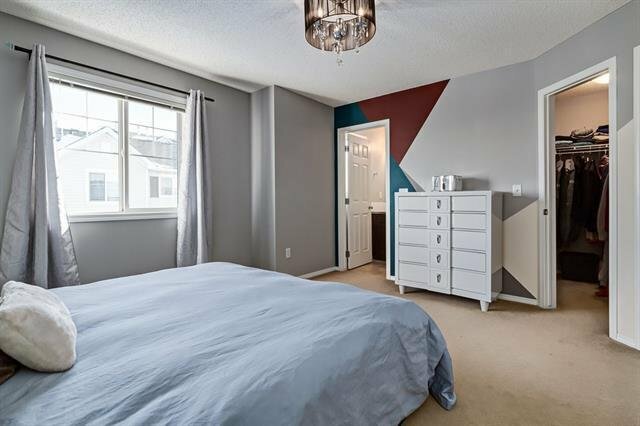 Bsmt is fully finished with laminate flooring & trendy feature wall paint; great extra living space whether it be for entertaining, kids (or adults) recreation rm, etc. 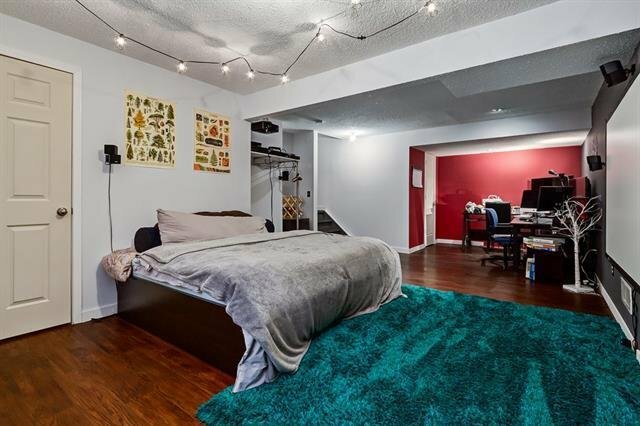 Pet friendly complex! 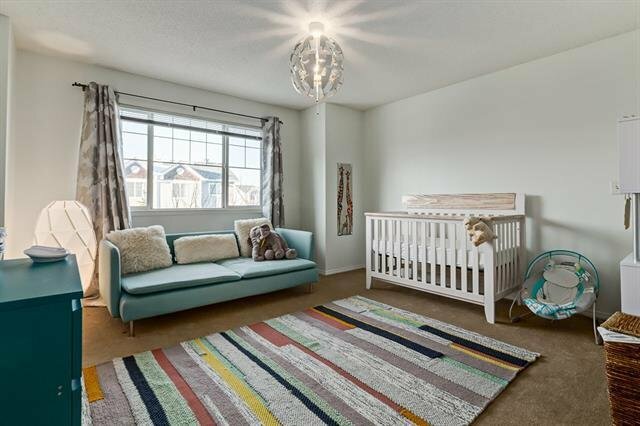  GREAT LOCATION: play park, pond and lighthouse w/ great views! 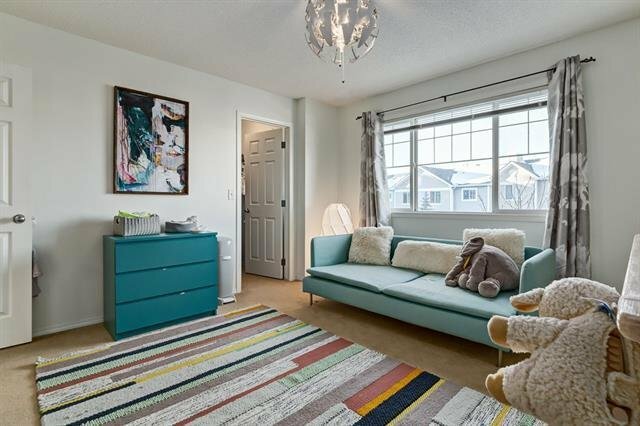 Transit, shopping, Vivo Recreation centre, Library, theatre, banks & more! 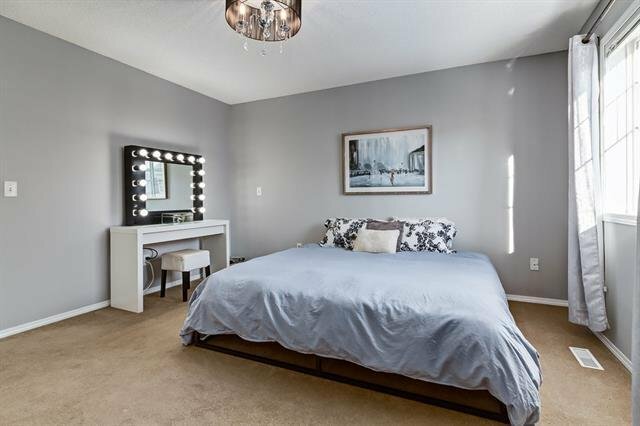 Deerfoot & Stoney Trail closeby! 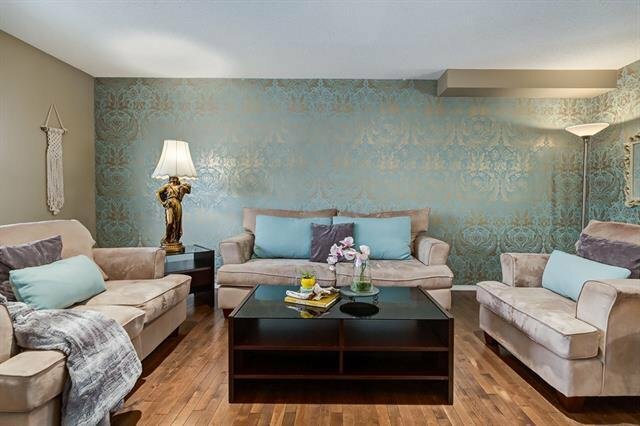 Won't last, call today!